Getting your little one dressed is a breeze with this Maxomorra zip-up romper. 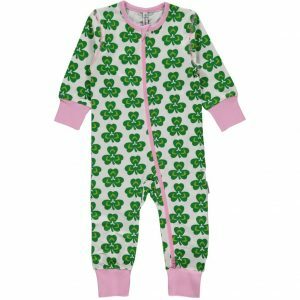 This gorgeous organic romper suit is white with a fresh green fun clover print and a soft pink zip, wrist and ankle cuffs. There’s no need for poppers – just zip up or down whenever a nappy change is due. 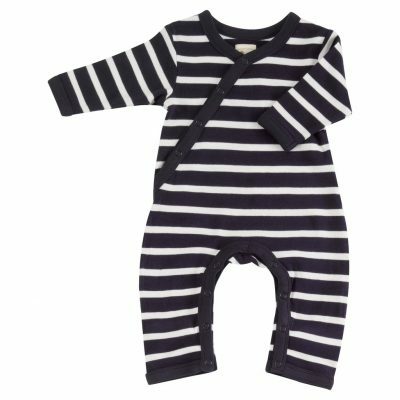 This organic cotton zip-up romper is perfect for playing and snoozing in and there’s plenty of room for cloth nappies. This romper is made from jersey fabric, with 95% GOTS certified organic cotton baby clothes and 5% elastane.